Sohu, Sogou and Tencent jointly announced a strategic investment today. Tencent will invest $448 million for 36.5% of Sogou and let the latter merge its own search service Soso. Tencent’s stake in Sogou will be increased to 40% later, according to the announcement. Sogou will still be an independent company after the investment and mergence; Sohu will still be its shareholder. Charles Zhang, CEO of Sohu, will still be the president of Sogou and Wang Xiaochuan will remain the CEO. Martin Lau, president of Tencent, and Ren Yuxin, COO of Tencent, will join Sogou’s board of directors. The two companies will jointly develop, cross-promote and integrate their respective products and services, and work together on search technology data sharing, etc. Tencent will allow Sogou’s products, including Sogou Pinyin and Sogou Search, access its huge user base. Sohu looked to introduce an investor for Sogou for a long time. The two major players in search, Baidu and Qihoo, showed interest in it. It was reported that Qihoo was once close to reach a deal with Sohu and Sogou. 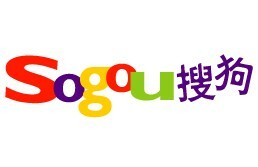 Sogou, now the third largest search service, have 10.4% of China’s search market; Soso has 3.6%, according to CNZZ, a third-party data service. Baidu’s share has declined to 63.2% while Qihoo has gained 18.2%. Sogou developed the most popular Chinese Input Method service Sogou Pinyin. It recorded $50 million in revenue in Q213, up 64% YoY. Search, browser start-up page ads and related services contributed $46 million, up 61% YoY. Increases were driven by “increased traffic and improved pricing”, according to Sohu’s financial release. Tencent Soso was launched in 2006 but never gained traction even after former Google China executives joined it. It is said the problem with Soso is Tencent’s users seldom visited it for searches, while the newly emerging players, Qihoo and Sogou, successfully led their browser users to search engines.